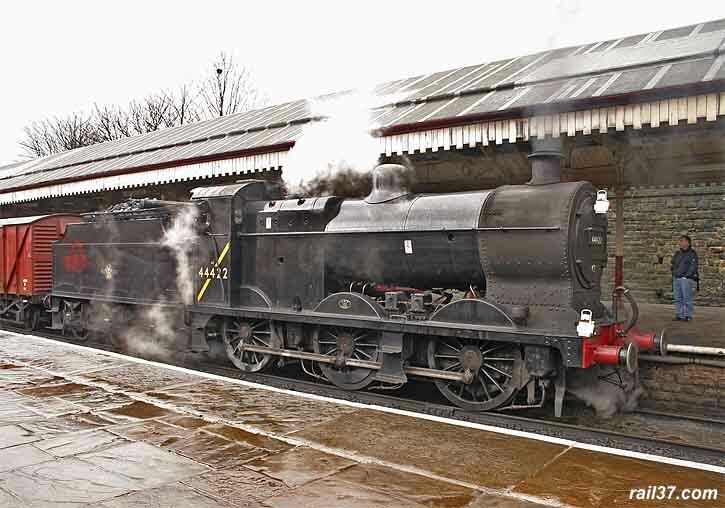 April 2006 and it's Steam Gala time on the East Lancashire Railway. 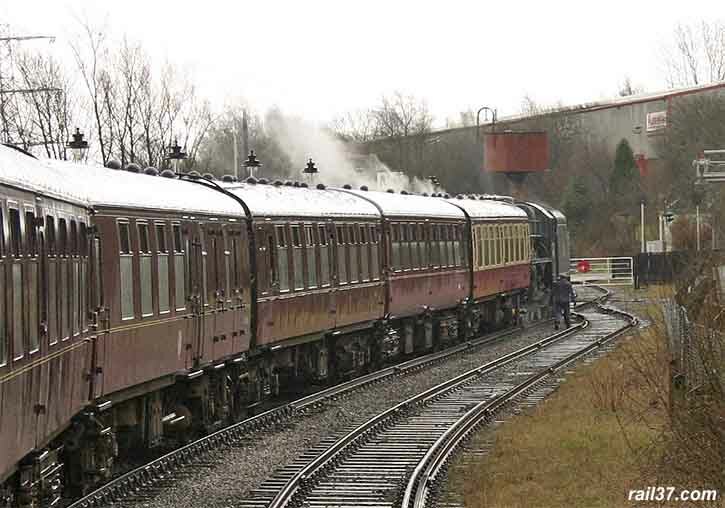 This time I started the trips with a day rover ticket, having travelled by road to Rawtenstall rather than face the problem of parking at Bury. The first train out after I arrived was hauled by 92214 but, having downloaded a card full of shots into a portable hard drive, I arrived home to find the device was faulty and had not taken the images into its memory. Hence no shots of 92214. Fortunately(!) I only part used the card for the second lot - largely due to the appalling weather - and was able to recover some of the deleted shots by means of some techno wizardry! The 4F and the class 5 shots were all I managed to save. 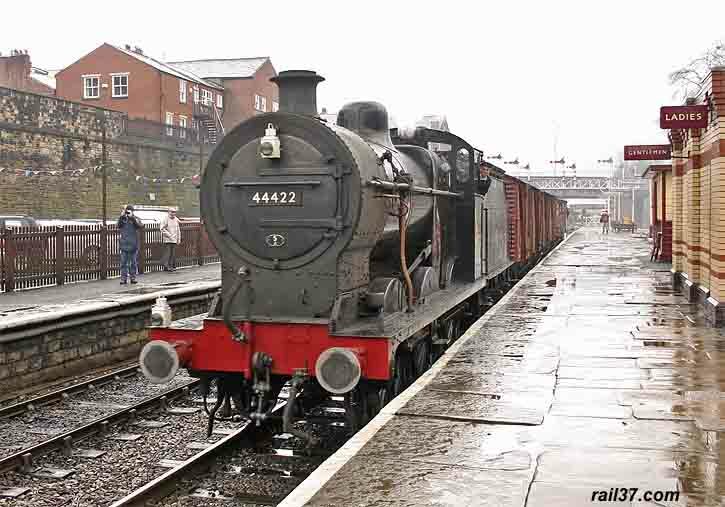 Arrival back at Bury in time to see 44422 appear on a demonstration freight train. 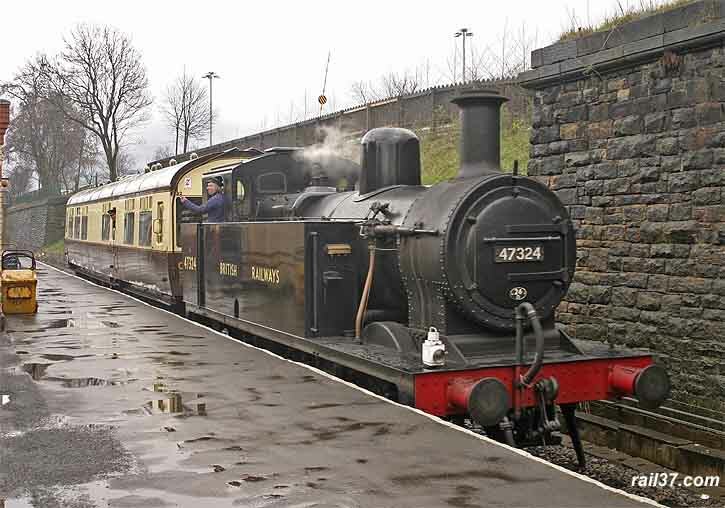 The 4F had just returned from the West Somerset Railway and will now spend the rest of the season working on the ELR. At least it has its yellow stripe back now. 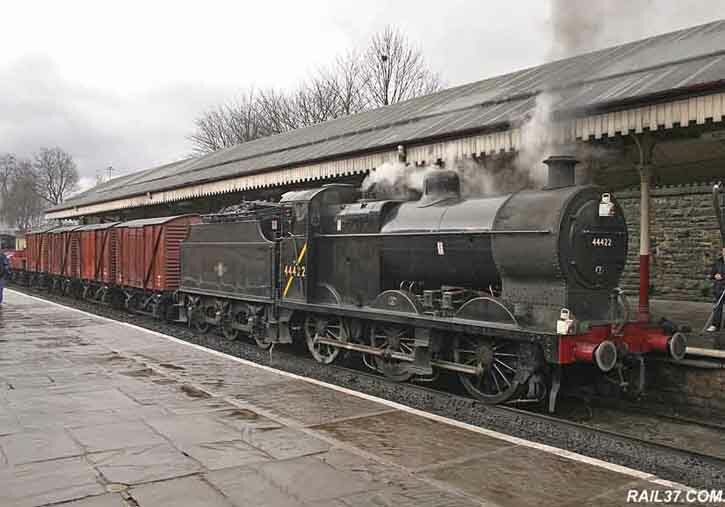 44422 set off for Ramsbottom in a heavy downpour, at least the cold weather made the steam more prolific! 47324 was padding up and down the line with a "Director's Saloon" which could be used for the payment of a supplement - tea and coffee etc were included. Neat idea. 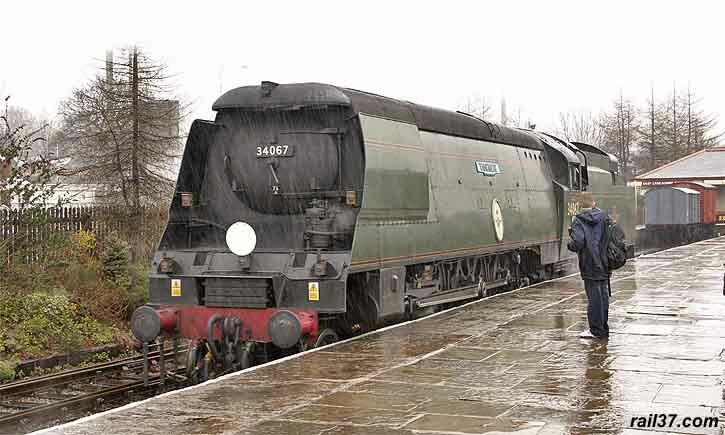 I caught the next train for Heywood and then Rawtenstall to call it a day, this time Battle of Britain class number 34067 "Tangmere" was in charge. 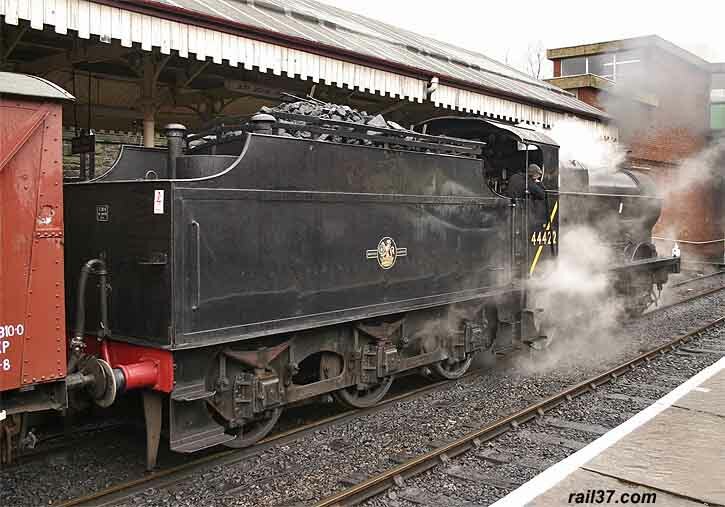 This engine had also just returned from the West Somerset Railway. 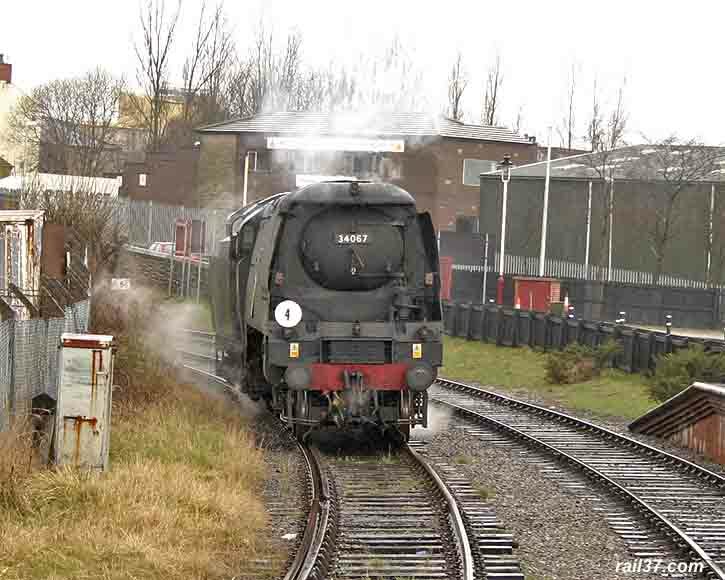 After taking on water, "Tangmere" ran round for the trip to Rawtenstall. Approaching "the hump", 067 was made to work quite hard and the distinctive 3 cylinder beat could be heard. Arrival at Rawtenstall in monsoon conditions and even the driving rain was not going to deter this young enthusiast from admiring the "spam can". 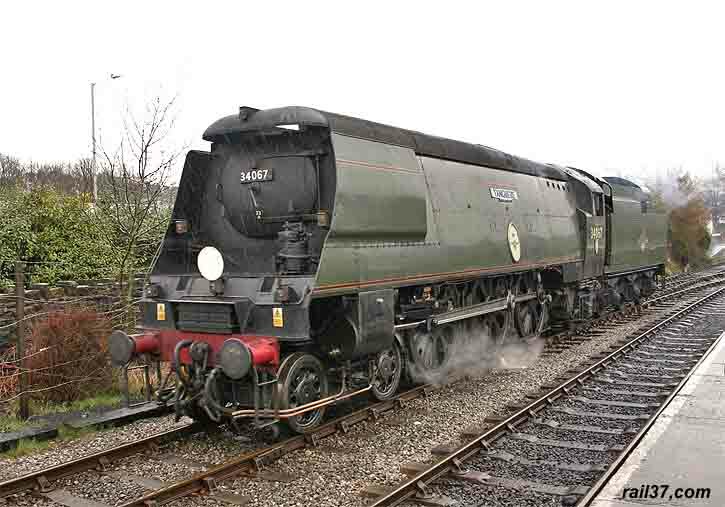 Enough is enough and I watched "Tangmere" do its runround before grabbing one last coffee in the coach cafe before heading for home. 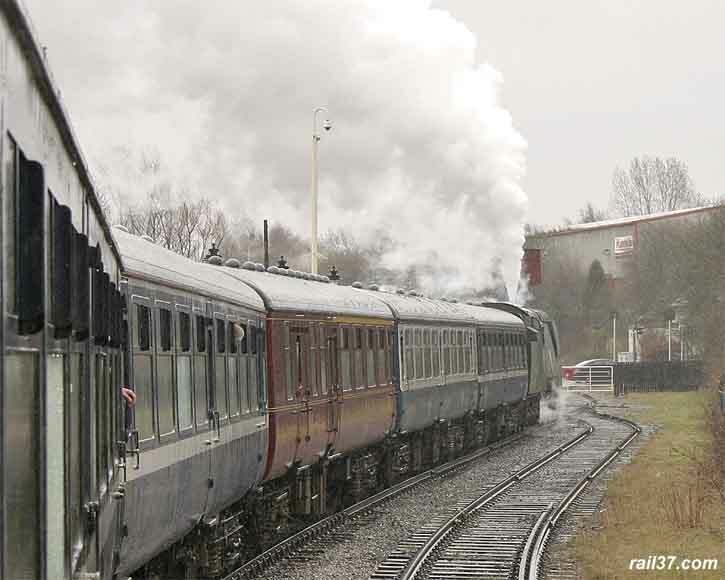 The weather had been cruel to the ELR and it really washed out what should have been an exciting day in April, the effort had been made and the staff should be congratulated for that.